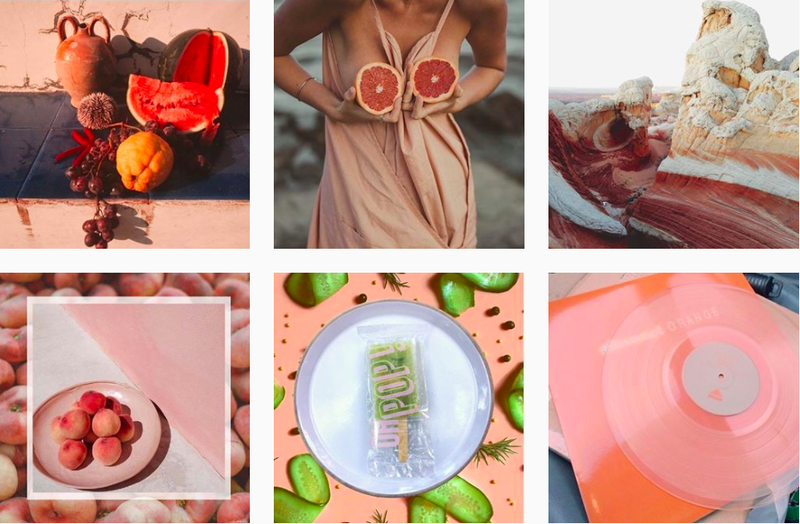 3 INSTAGRAM ACCOUNTS YOU HAVE TO FOLLOW | RAWR BOWS. There are over 700 million account on Instagram. They are all different and have a story behind them, but there are three that you HAVE to follow. I haven't obviously personally checked every single account on the social platform (I have better things to do), but these three that I'm going to share with you are pretty on point, and genuinely make my day slightly better when they post. 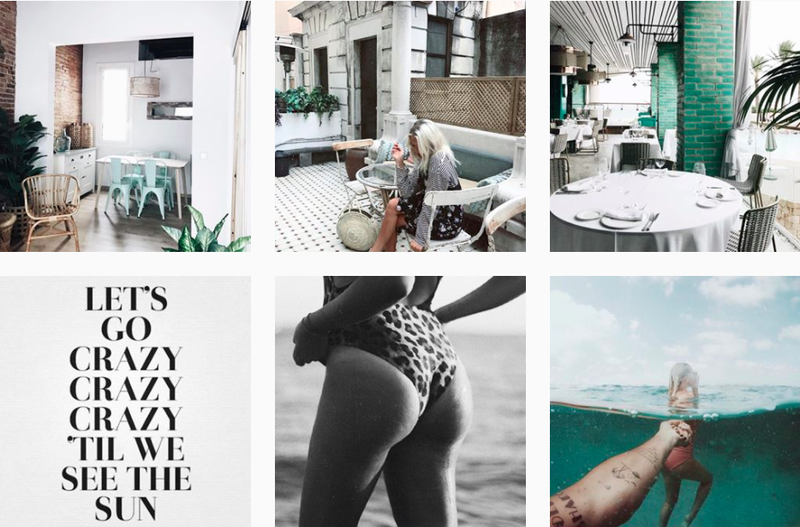 Instagram is a place to find inspiration for me, scrolling down my homepage I can see countless of artsy shots and beautiful images; whether it's a beach in Mexico or a lavender field in France or beautifully presented food. These three following accounts are all very different but they all share some impeccable content, and they deserve your follow. To me, this account is summer in photos. Vanessa, the cool girl who runs the account, keeps doing an incredible job at keeping up with a very well curated theme. Everything just flows together so well, I honestly didn't know such coherence was possible. From green, to blue, to yellow, to purple, to pink; the transition is as smooth as it could possibly be. It's just such a beautiful account, no amount of words are enough to describe how much I love it. However, the best thing about this account is not their feed (WHAT), it's what they sell: popsicles. But not any kind of popsicles; they sell the most aesthetically pleasant and coolest popsicles. They are all made of natural ingredients that create and explosion of flavours and textures, most of them are also dairy-free so it can't really get any better. Oh wait, it can: the flavours they offer are IN-CRE-DI-BLE; how does lychee, cooling cucumber and mint sound like? Sounds like heaven to me. Creamy coconut and raspberries drizzled with matcha white chocolate and shredded coconut? Say no more. If you're lucky enough to be based in Sydney, you should head over to their Instagram (@oh_pop_) and place an order right now. You won't be disappointed. I specially love their videos, they're so short and look kind of "rough" but that's what makes them cool in my opinion. 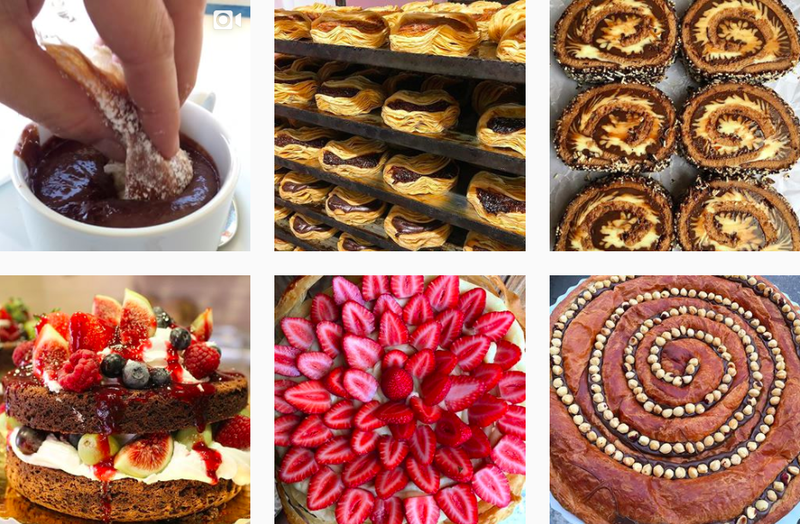 I think what makes me love this account so much is that this bakery is quite close to my hometown in Mallorca so I could realistically eat everything they show on their account.... someday I'll go all out and buy one of everything. If you like sweet treats and desserts, and if you enjoy watching food videos, you have to give them a follow. They're so great! I've been following Gigi for a couple of years now but I never realised how insane her feed was until recently. Everything is so perfectly curated, and the colours flow so well together. I also find it very peaceful to look at, everything's so white and blue - it reminds me of a paradisiac white sand beach. She lives in Barcelona but travels quite a lot so it's cool to see new places and cities through her eyes, or to see places I have myself visited through someone else's perspective. I also think she is stunning, which obviously helps - funnily enough she reminds me of Gigi Hadid.